Before anything else let me just tell you that I am not obsessed with anti-aging products. 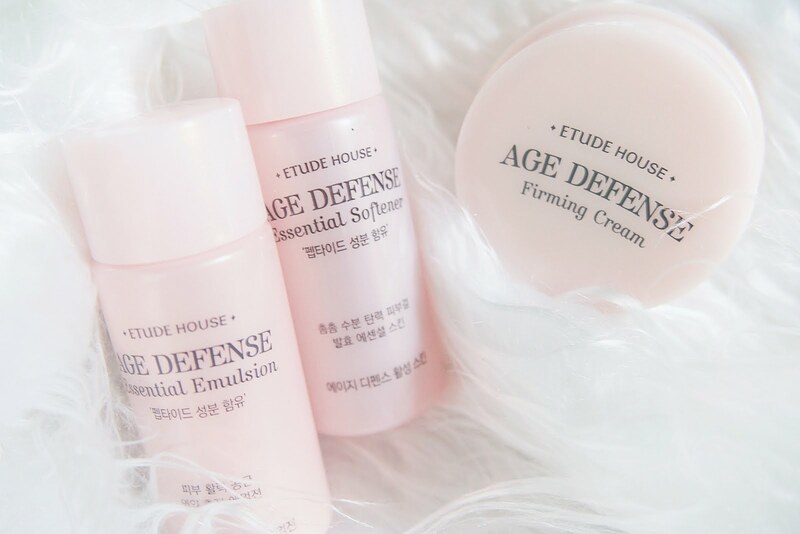 Most of the anti-aging products I use are freebies just like these ones from Etude House. These Etude House goodies were sitting in my drawer before I finally got try them last July 21. I've been applying all three almost every night except for just a few times where I accidentally forgot to use them. The original plan was share the post once I've finished all of them up but it's already been about four months and I have yet to empty the Emulsion & Firming Cream. Meanwhile the softener lasted for roughly three and a half months. 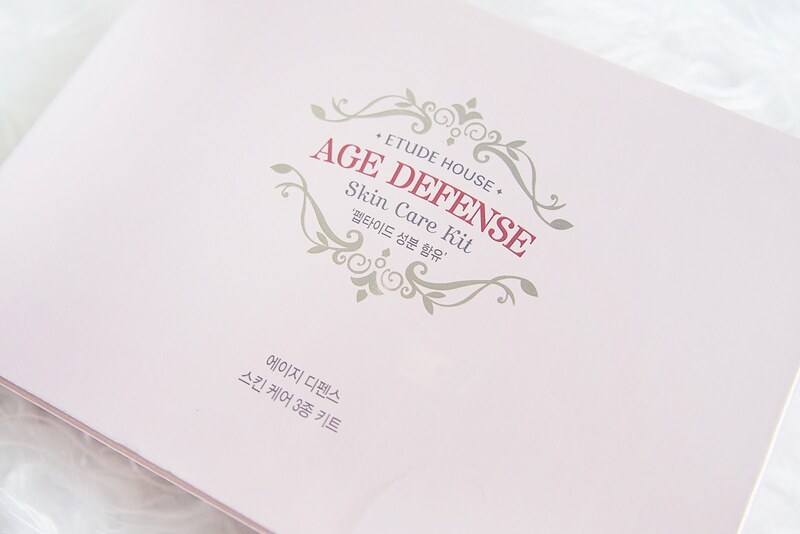 Etude House Age Defense Skin Care Kit - Makes your skin firm and smooth with Age Defense Skin Care Kit consisted of 3 Age Defense items that help with total multi anti-aging care. 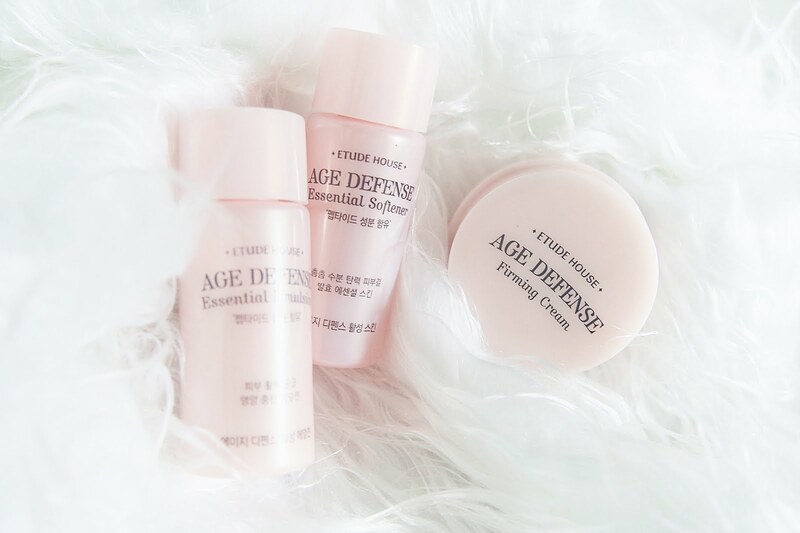 Age Defense Essential Softener - Apply morning and evening after face wash. Spread the skin from the center towards the sides of the face. Age Defense Essential Emulsion - Spread the emulsion from the center towards the sides of the face. Age Defense Firming Cream - Pick up a certain amount of cream and spread gently onto forehead, cheeks, and chin. Pat gently afterwards to absorb. The softener, emulsion & firming cream were different. The softener had a rather watery consistency and is easily absorbed by the skin. I have to say the softener is my favourite among the three because it leaves my face with a fresh & cool feeling. Well, the reason behind the softener being used up first is because of its very liquid form. I would usually take more than the amount I needed. 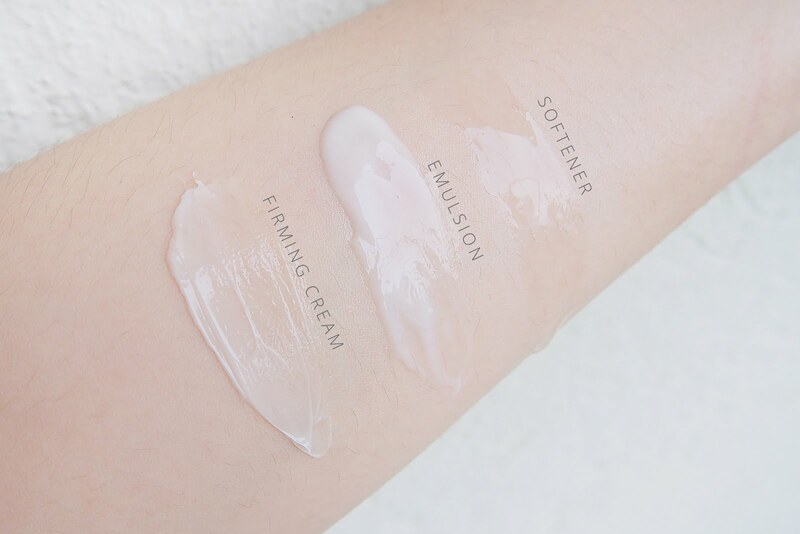 The emulsion had a thicker consistency than the softener, it's form is similar to lotions. Getting some of the product out of the bottle was not easy though, since it doesn't pour out like the softener, and the bottle isn't really squeezable. Lastly, the firming cream. It has a rich and thick consistency but it's not heavy on the skin. I tend to put a thin amount as possible since I kind of feel a bit of greasiness when I apply too much. All in all, using all three together gives my face maximum moisture. My face was soft and supple even in the morning and it felt good to wash my face. Plus, the scent of these products. Sooo good!